Make sure to use non-whitening toothpaste that contains fluoride, and ask your orthodontist or family dentist if you need a fluoride rinse. This will help prevent cavities! With braces, you should brush your teeth at least three times a day to keep your teeth, gums, and mouth healthy, clean and plaque free. Brushing regularly will help remove any food that may be caught between the braces. You should also floss daily to get in between your braces where your brush isn't able to reach. 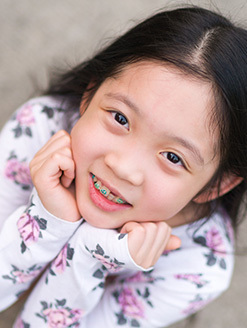 Your orthodontist can show you how to properly brush and floss once your braces are placed.